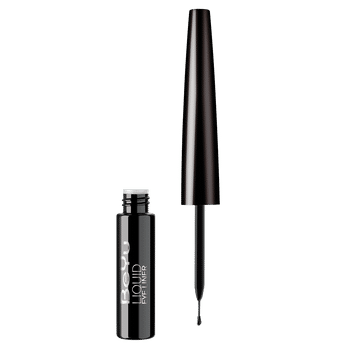 Create thin or bold dramatic lines with BeYu Liquid Eye Liner Waterproof. It comes with a special brush tip for fine lines and precise application. This rich fluid formula dries quickly and dramatically defines your eyes. Very high coverage and ultra-black texture. Special brush for exact application.